In October, my good friend Naomi Fearn, talented German comicbook creator, accompanied me out to the Askö Marine Laboratory. I figured that if you are living in Berlin, you need all you can get of forrest, sea and seasonal fungi. Also, I needed some assistance with marking seaweed with needle and thread to monitor growth, before it should be placed out into the sea over the winter. It was a lovely autumn day and Askö really shone in the warm sun, with the water like a mirror, the trees glowing and the skye incredibly blue. The water was 7 degrees Celsius and Naomi got to feel what a day in the life of a marine biologist can be like. On the blog is also some photos from our seaweed sowing. Use Google Translate if your German is as rusty as mine. P.S if you don’t know who the rabbit refers to in the strip, you can read up on Rüdiger Nehberg here. 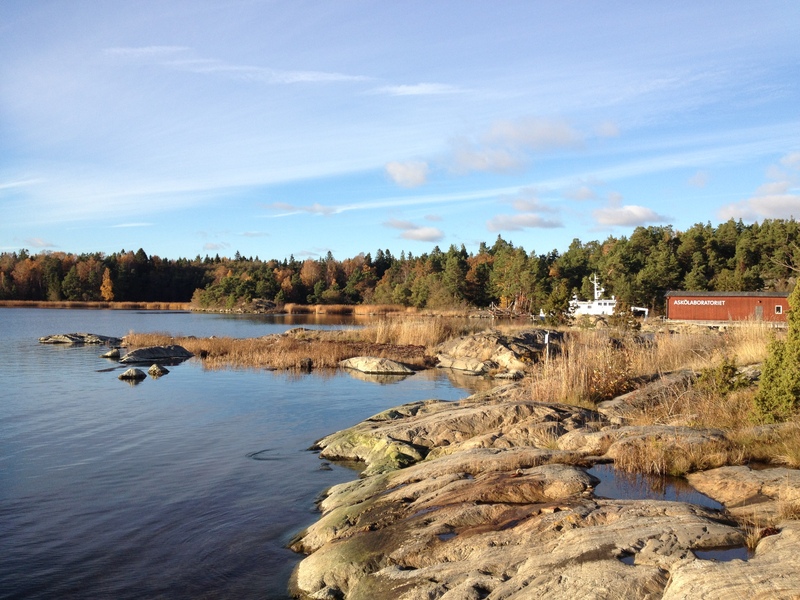 This entry was posted in News and tagged Askö Marine Laboratory, Naomi Fearn, seaweed. Bookmark the permalink.